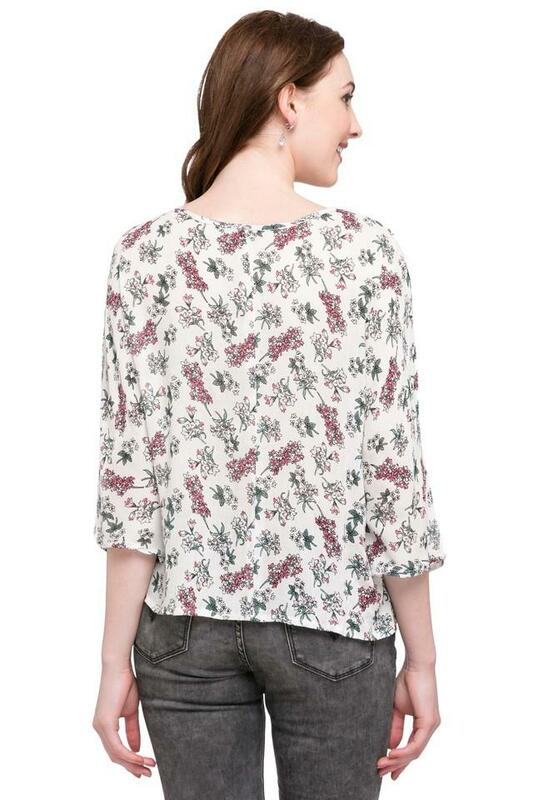 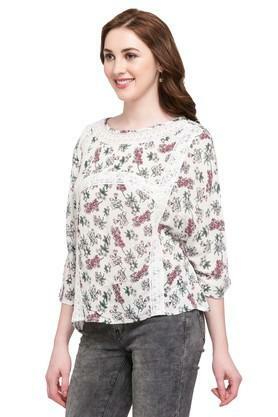 Add some style to your clothing collection by adding this top brought to you by Femina Flaunt. It flaunts a print pattern, which gives it a trendy look while the three quarter sleeves further enhance its overall appeal. Besides, it comes with a lace detailing at the front, which further adds to its uniqueness. 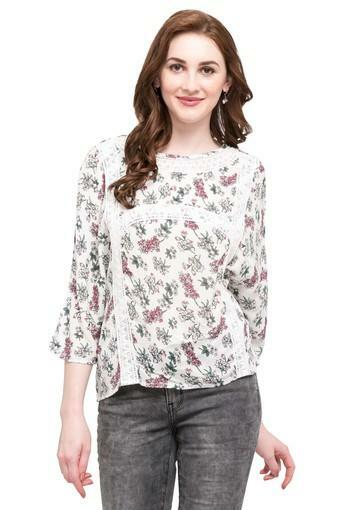 Being a style savvy woman, you will surely like this top. Wear it with jeans and ballerinas for any casual occasion to get complimented for your rich sense of fashion.